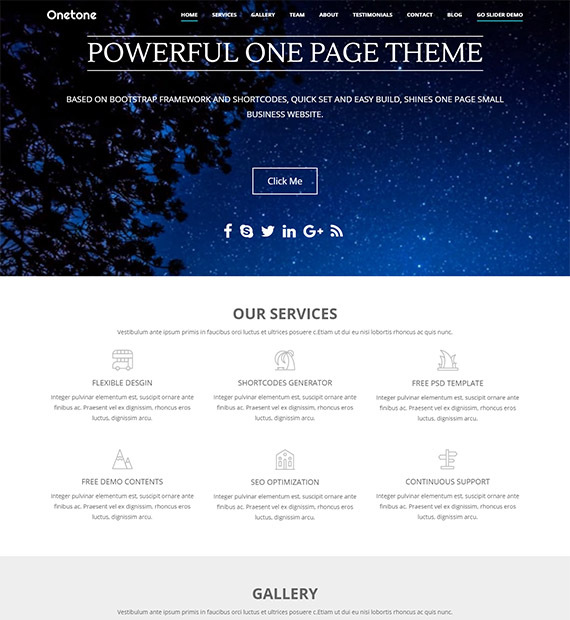 Onetone is a powerful and advanced OnePage WordPress theme built on the Bootstrap framework. With this, all of your contents information will be displayed in a single page making this theme suitable for a landing page, and business sites. The basic sections required for the business site also come pre-made with this theme. The extensive admin panel is easy to customize and to add or remove elements on it making the process of creating stunning website so much easier.